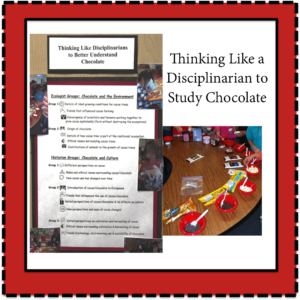 Students were placed in ecologist and historian groups and used Depth and Complexity and Content Imperatives to learn about chocolate. 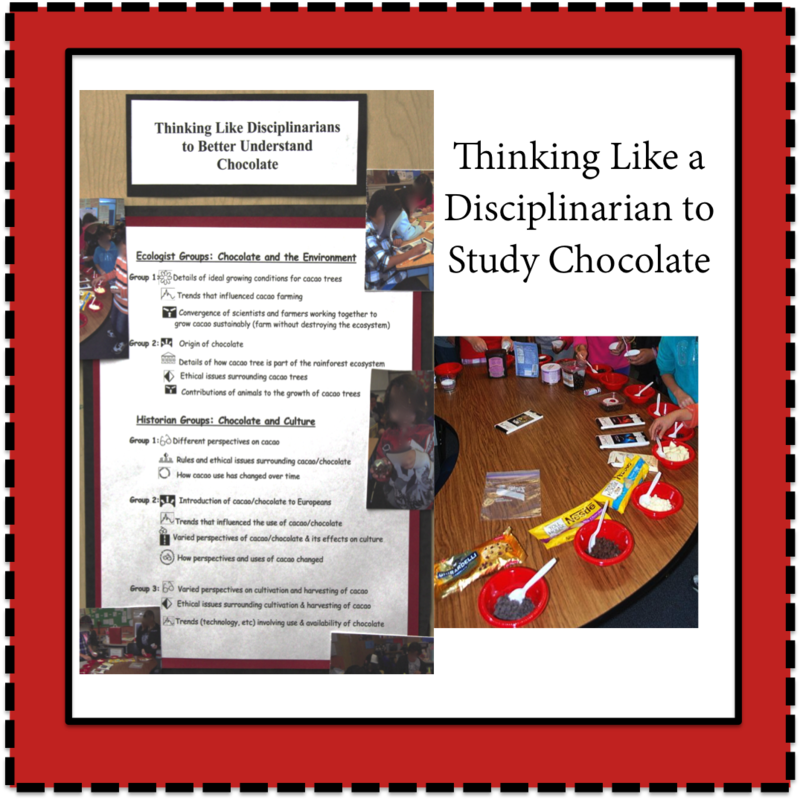 Valentine’s Day was upon us and I wanted students to get a better understanding of that beloved treat that seems to be present everywhere during that time. My room-mom helped me find and purchase different kinds of chocolate for the students to sample. I generated questions and located information and resources on this topic prior to the start of the lesson. I introduced and defined the disciplines and explained the task to the students. The ecologists were broken into two groups: One group examined the details of ideal growing conditions for cacao trees; trends that influenced cacao farming; and the convergence of scientists and farmers working together to grow caco sustainably. The second group examined the origin of chocolate; details of how the cacao tree is part of the rainforest ecosystem; ethical issues surrounding cacao trees; and contributions of animals to the growth of cacao trees. The historians were broken into three groups. 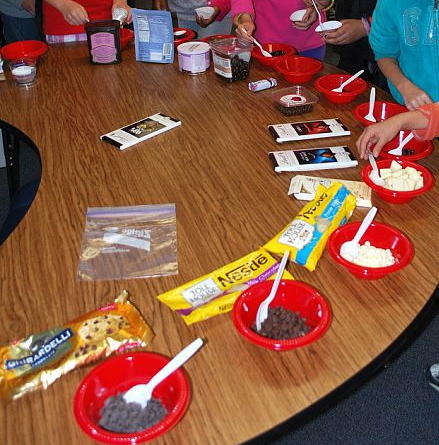 The first group looked at the different perspectives on chocolate; the rules and ethical issues surrounding cacao/ chocolate; and how cacao use has changed over time. The second historian group examined the introduction of cacao to the Europeans; trends that influenced the use of cacao; the varied perspectives on cacao and its effects on culture; and how perspectives and uses of cacao has changed over time. The third group researched the varied perspectives on the cultivation and harvesting of cacao; ethical issues surrounding cultivation and harvesting cacao; and trends in technology, etc involving the use and availability of chocolate.